I cannot tell you how excited I am for today's feature. If you have not yet noticed, I absolutely love Blair's designs. I received my mini Lulu this past week in pale pink. It is the softest leather, and such detail is put into the design and quality. I adore the detachable tassel too! Originally from Pennsylvania, Blair from a young age had an eye for fashion. She attended college taking a "safe" route and studied Psychology. However, the strong desire she had for the fashion industry lead her to New York interning for various designers during her summers. You know the saying, "you will know it when it's right?" Blair's passion was discovered when she first interned for a handbag designer. Her designs are simplistic, and transition from day to evening, as well as season to season. Not only are her bags beautiful, and complimentary to your outfit, but it was important they maintain functionality. Blair Ritchey's bags are a piece of luxury. Made of lambskin, they are so soft, and lined with brushed canvas for a delicate lining. The hardware is gold metal with a detachable tassel. Each Mini Lulu is made to order, making your Lulu special and unique. I asked Blair to answer a few questions to get to know her a little better. What made you take the plunge and start your own business? Creating a handbag line was something that I always wanted to do. For too long I waited for the perfect time or opportunity to begin. Then one night I literally thought I was going to burst if I didn’t just start. 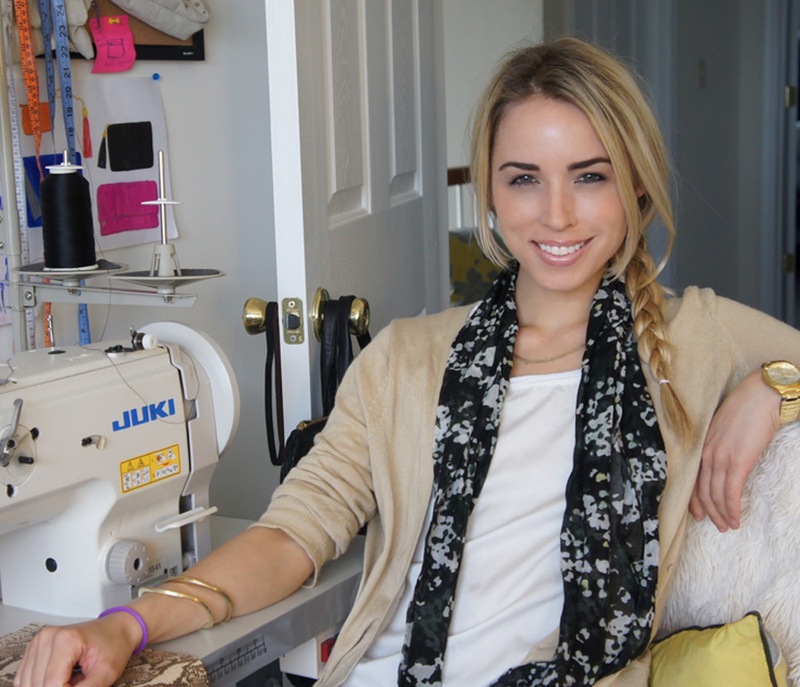 I sat down at my dusty little sewing machine and made my first bag…and so it began! 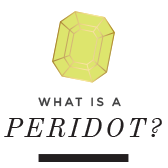 Do you see the line evolving into other products? I definitely see the line expanding into other markets down the road. Right now I am having so much fun designing bags, but sometimes I do get excited thinking about designing ready to wear pieces. 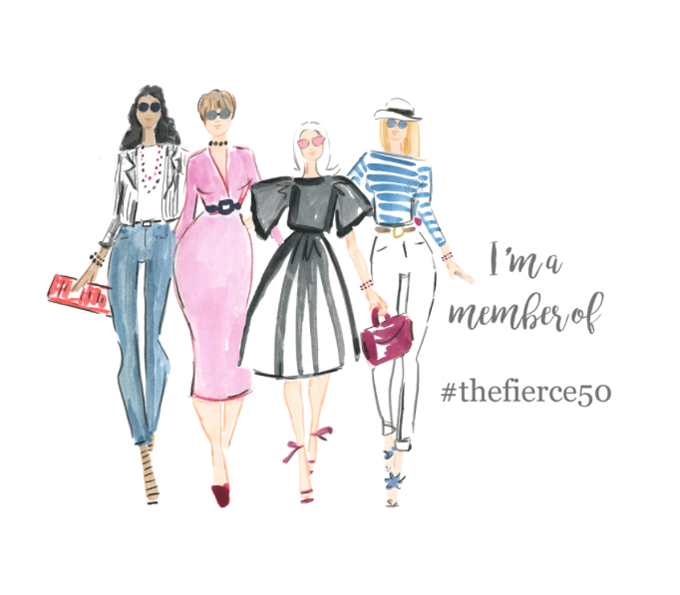 What are some of your favorite trends going on right now? There are so many trends right now! I would have to say my favorites for fall are the mixing of different patterns and colors (LOVE!) and I’m totally obsessed with brocade. Share a little bit about your personal style, what would we find in your closet and in your home? Lots and lots of grey and black! The past few seasons I have added a lot of color – but I can’t seem to kick my obsession with grey. My style is more on the classic side, and I love to accessorize and layer. In our home we have very large dark furniture so to brighten it up we have accents of white and pops of color. I try to have fresh white hydrangeas in a vase as often as possible; I love how they complete a room. You know the Mini Lulu in pink is my favorite, which is your favorite? It’s so hard for me to pick – it literally changes daily. I am using the coral Mini Foldover a lot – it’s the perfect size when I don’t need to haul everything I own for a night out. Thanks Blair for sharing a piece of your world with us. I want to share a Blair Ritchey with one lucky follower. 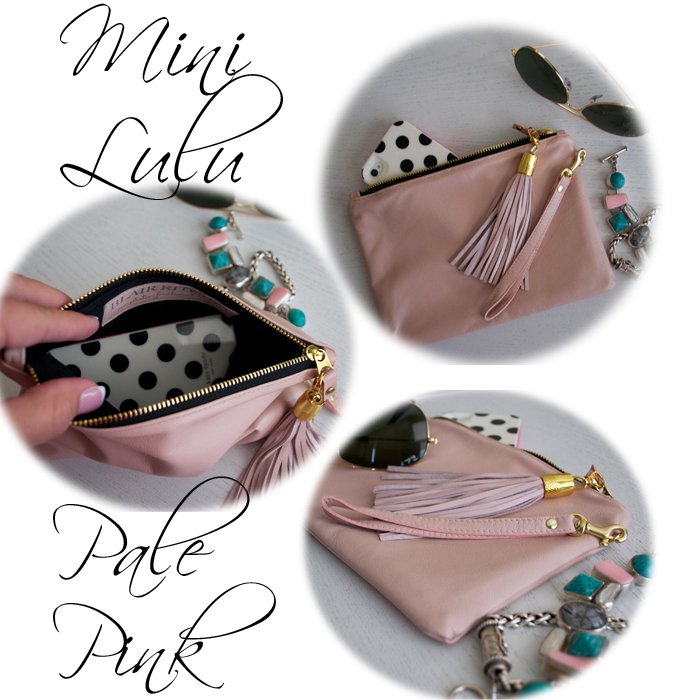 Win your very own pale pink mini Lulu with a wristlet just like mine by entering the giveaway. Good Luck!! I love the Mini Lulu Foldover in Mint! I love the pale pink mini Lulu! Wow! The pale pink mini Lulu would be a perfect present for my girlfriend for our two year anniversary! She would be in love with this! Thank you so much for hosting this giveaway! I really do love the pale pink mini lulu!! This is a great giveaway! I LOOOOOVE the mini lulu in chartreuse and it has to have a pink tassel! I do believe I'll be saving up my dollar bills to purchase this beauty! I need the mint clutch in my life!! :) Thanks for the amazing giveaway!! 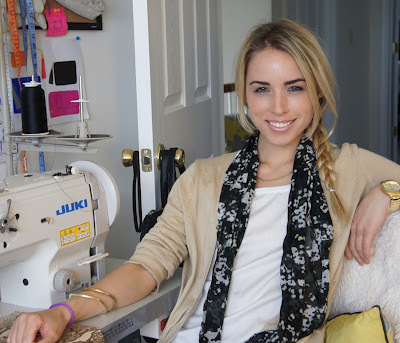 i love the large lulu clutch + all of your key chains! hope i win! That's such a cute clutch, and I love the pale pink color. Once again, happy birthday!! my favorite item is the deep green suede lulu clutch or the snakeskin Kantner. Great giveaway! I love the kantar in mint and all of the tassels! Fingers crossed!! I love the Lulu Foldover Suede in Royal blue. omg i love them all!!! buttt probably the snakeskin would be my pick! Love the lulu clutch! Gorgeous stuff. I love the mini lulu clutch in pale pink and mint! I love the pale pink mini Lulu! Great giveaway! What a gorgeous bag! I am loving the Mint Mini Lulu! Everything in her shop is so amazing! I love every thing! The snakeskin is my favorite though! I love the Lulu Foldover Suede in Royal blue. I've been coveting it for a long time, maybe for christmas this year I'll get one! Lulu foldover in Metallic Beige! My fave is the LuLu Foldover Snake Clutch! Ok, you always have the BEST giveaways! I'm also obsessed with these clutches and I think my favorite is the Mint (or Pale Pink) Lulu Foldover. So lovely! xo - Kat http://www.everydaychicstyle.blogspot.com. Loving every single Blair Ritchey lulu. Her bags are major. Thanks for the amazing giveaway! 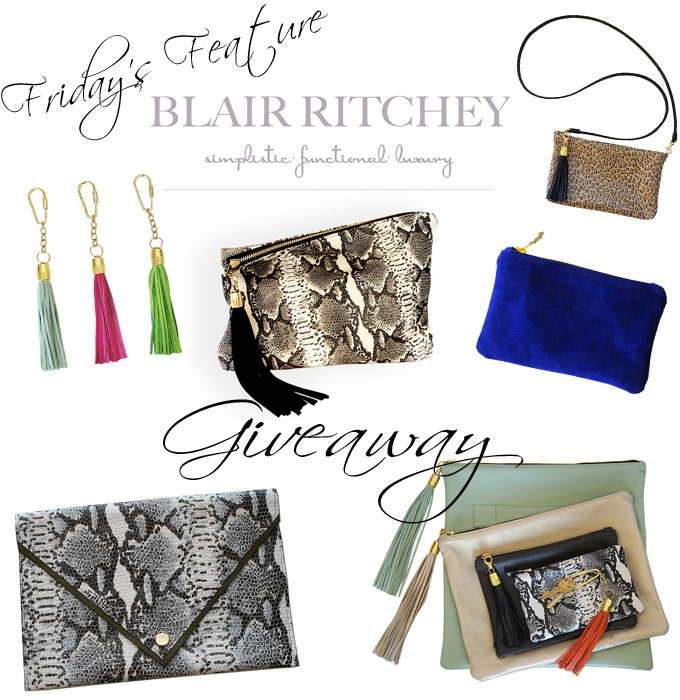 Love the snakeskin clutch! So cute! I love the Lulu suede foldover!! Such beautiful pieces! I love the chartreuse with fuchsia tassel. I love the Lulu foldover Snake Clutch! My fave is the Lulu Foldover Suede! Loving the colors!